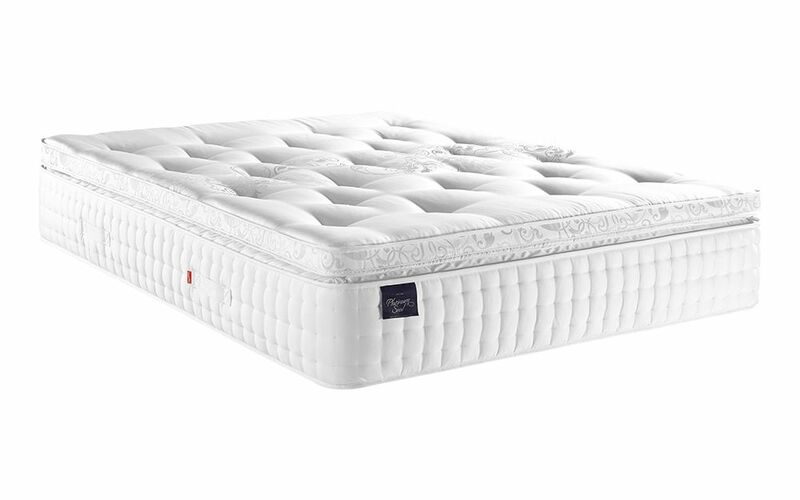 The Platinum 2400 Seal Pocket Mattress by Slumberland, part of Slumberland’s stunning Vintage Collection. Featuring 2400 Pocketed Posture Springs®, responsive Rheia Foam and gel latex – enjoy luxury natural fillings of wool, bamboo and alpaca wool. A simply blissful night’s sleep – night after night.